We honor and appreciate the wonderful contributions of our community volunteers who generously donate their time and talents. Please download, complete and print this short Application to help us customize your volunteer experience to your special skills and encourage you to help in ways that are most enjoyable for you. We look for candidates who share a passion and enthusiasm for Montville. A Board term is held for 3 years for up to a total of 2 consecutive terms. Board members work collaboratively. Each board member brings a unique skill or represents a distinct part of the Montville community. Board meetings are held on the first Monday of every month unless otherwise noted. Board members are expected to make most of the meetings. 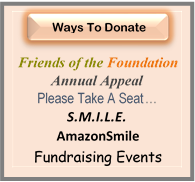 Board members must make a financial donation to the Montville Education Foundation, Inc. There are no specific dollar amount requirements. Every Board member actively participates on a committee. We are always looking for potential new board members. Serving as a director of the Montville Education Foundation, Inc. affords you the opportunity to make an impact on the education opportunities for the entire community of Montville. If you are interested in joining MEF, please contact us at the mailing address or email link below.